Posted by scoop2go in Weird stuff. Comments Off on Weird. 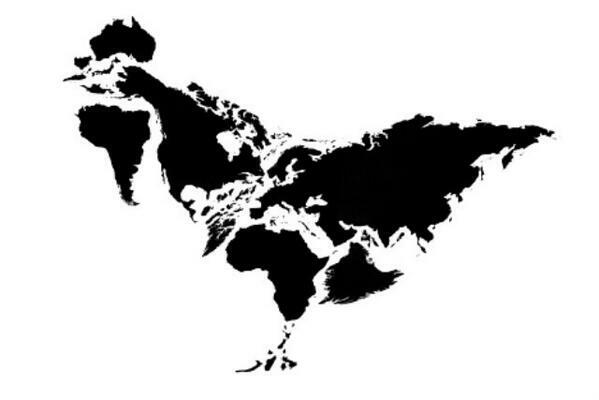 If you rearrange and resize the continents, it makes a chicken. You can learn the weirdest stuff on twitter. The deadline to register for the December 8 ACT is NOVEMBER 9, not the 2nd as it was in the announcements today. I imagine they extended it due to the storm. I checked the actstudent.org website to be sure. But this doesn’t mean you should put it off….. Remember, the test over 11-13 is tomorrow, and chapter 14 is due on Tuesday. Stoopid schedule weirdness. I hope y’all did well on the PSAT. Posted by scoop2go in News, Weird stuff. Comments Off on We are all slackers.